Contribution: Conception of the idea and design of the work, acquisition, analysis, and interpretation of the data. Drafting the manuscript and overseeing the completion. Cone beam computed tomography (CBCT) is well-established as a useful diagnostic and treatment planning tool in dentistry. 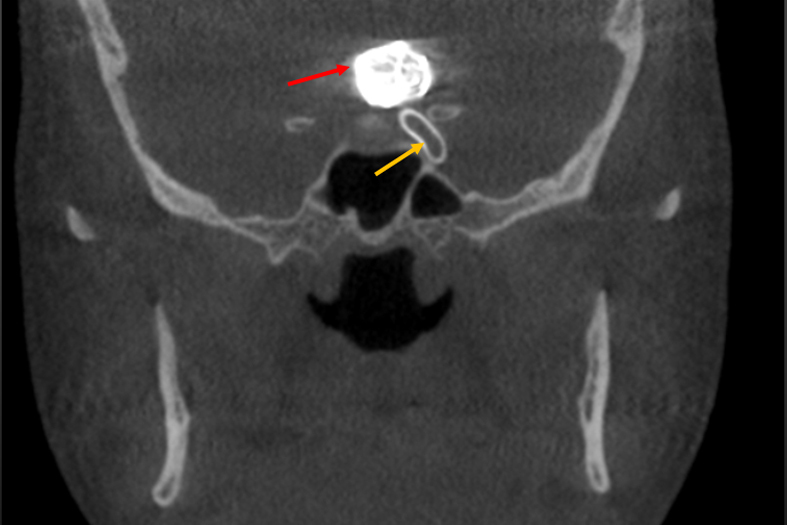 Much attention has been given to selection principles for use of CBCT, incidental findings on CBCTs, and who should be interpreting the CBCT scans. This discussion on who should be interpreting the scans, which has taken place over the past 10 years, has focused on incidental findings and the difficulty of detecting and properly identifying them. 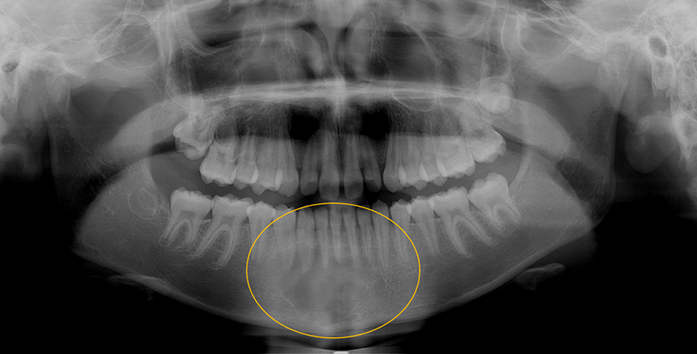 The major concern of incidental findings is those which are found outside the jaws in areas less familiar to dentists. A systematic review by Edward et al. 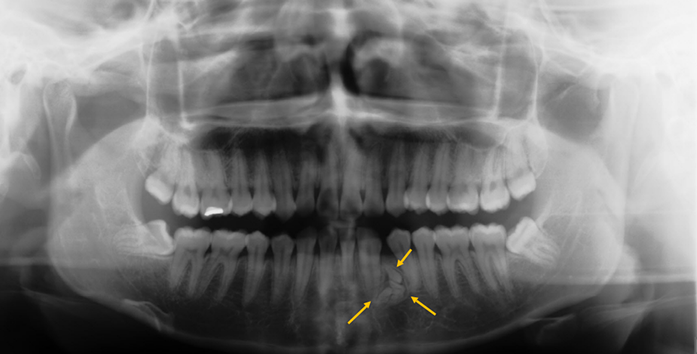 found that 85.3% of incidental findings were outside the dentition and associated alveolus region and concluded that “complete and proper review of the entire image, regardless of field of view or region of interest” is emphasized by their findings 1 . 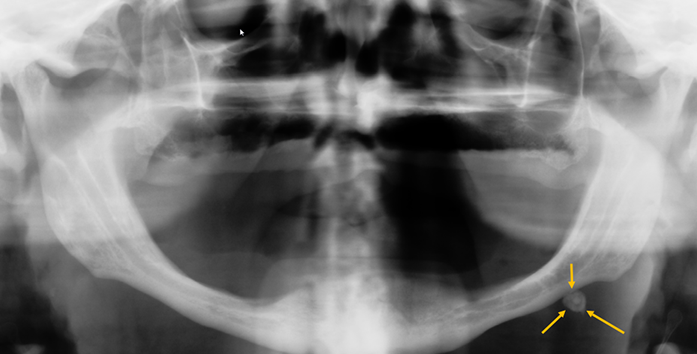 Studies have shown incidental findings rates as high as 93.4% with up to 3.2 incidental findings per CBCT scan 2 . Studies have also shown that 45.9% - 56.52% of incidental findings required monitoring, follow-up, treatment, or referral 3 4 . The necessity for complete and experienced review is further emphasized by Warhekar et al. 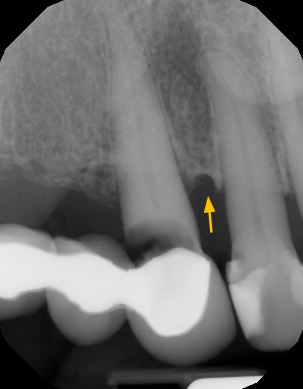 which found in their review of 795 cases that 11 (1.4%) of the cases had an oral malignancy as an incidental finding 5 . The ADA council on Scientific Affairs issued an advisory statement in 2012 stating that “the complete image data set must be interpreted by an appropriately qualified health care provider” and that a “thorough radiological report” be provided to the prescribing provider if referred or that the findings be entered into the patient record if interpreted by prescribing provider 6 . 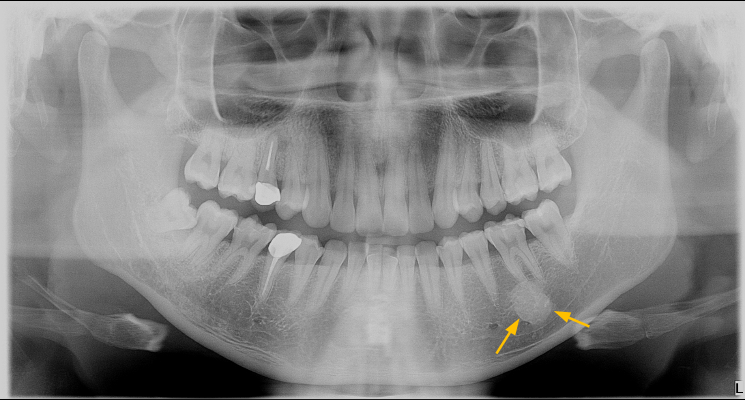 Then there is a question of who is qualified to interpret the entire CBCT scan. A study done by Allareddy et al. demonstrates the need for a thorough knowledge of potential findings as they described 76 different conditions visualized in 1000 CBCT scans 7 . Even so, this is a controversial question that has not been resolved and seems that it will continue for some time more. Each dental specialist differs in their knowledge and experience with CBCT interpretation and thus differs in their comfort and ability. This study is not discussing the issue of who is qualified or who is not qualified to read CBCT scans but rather limits itself to the cost benefit advantages of referring to an Oral and Maxillofacial Radiologist. A common argument made by dental specialists is that they lose money each time they refer a CBCT scan out to an Oral and Maxillofacial Radiologist for interpretation. Upon our examination of the literature we found no research in the literature that explores this question. This and questions like it are especially valuable to explore as CBCT continues to become more used by dental specialists who already face an increasing workload and responsibility. Thus, the purpose of this paper is to determine the cost- benefit advantage if any of each dental specialty for referring to an Oral and Maxillofacial Radiologist versus interpreting CBCT scans on their own. Data from the ADA’s Health Policy institute 2016 Survey of Dental Practice was used and the total hourly production for each of the dental specialists was calculated based on the “Gross Billing Per Dentist for Owner Specialists in Private Practice” data and the “Average Hours per Year in the Dental office for the Primary Private Practice of Dentists, by Employment Situation” under “All owners” heading for hours worked per year data 8,9 . The average “gross billings per dentist for owner specialists in private practice, 2015” for each specialty is as follows: Oral and Maxillofacial Surgeons is $1,408,990; Endodontists is $834,340; Orthodontists is $910,540; Periodontists is $962,530; and Prosthodontists is $908,710. The “Average Hours per Year in the Dental office for the Primary Private Practice of Dentists, by Employment Situation” under “All owners” is 1,703.9. This information was combined and the average hourly gross billing for each specialty was calculated. The ADA’s survey defined gross billings as “gross billings per dentist.” The average hourly gross billing for each specialty is as follows: Oral and Maxillofacial Surgeons is $826.92; Endodontists is $489.72; Orthodontists is $534.39; Periodontists is $564.90; Prosthodontists is $533.31. The average time spent per CBCT scan by an Oral and Maxillofacial Radiologist is 20 minutes which results in an average of 3 CBCT scans interpreted per hour, as reported by phone survey. The average fee per CBCT scan by an Oral and Maxillofacial Radiologist is $85, obtained by an internet search. 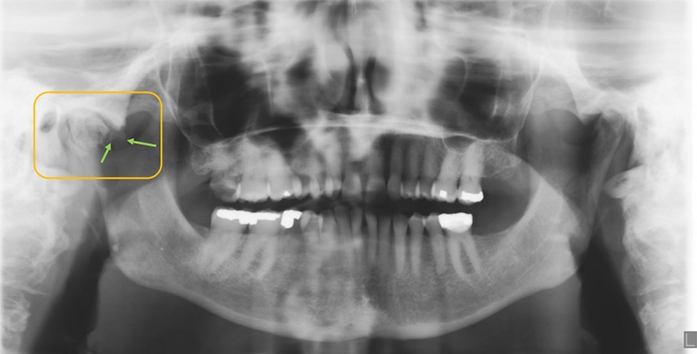 Combined, the total fee for 1 hour, or 3 scans, referred to an Oral and Maxillofacial Radiologist is $255. The average hourly gross billings were then used with the average hourly fee for an Oral and Maxillofacial Radiologist and the adjusted gross hourly earnings were calculated. The hourly adjusted gross earnings for each specialty is as follows: Oral and Maxillofacial Surgeons is $571.92; Endodontists is $234.72; Orthodontists is $279.39; Periodontists is $309.90; Prosthodontists is $278.31. The adjusted gross hourly earnings describes the dollar value that a dental specialist is able to produce during an average hour less the hourly fee for an Oral and Maxillofacial Radiologist. The adjusted gross hourly earnings for all dental specialists that do not refer out CBCT scans is $0. This is determined by $0 production from specialist specific patient care and an Oral and Maxillofacial Radiologist fee of $0, since no referral was made. Thus, the adjusted gross hourly earnings for referral to an Oral and Maxillofacial Radiologist is the same amount as the difference of earnings between referring and not referring CBCT scans to an Oral and Maxillofacial Radiologist and is referred to, in this paper, as savings with referral (see Figure 1). The Oral Surgeon that refers 3 CBCT scans to an Oral and Maxillofacial Radiologist will have an average earning of $571.92 more than the Oral Surgeon that self-interprets 3 CBCT scans and thus has a $571.92 savings with referral. 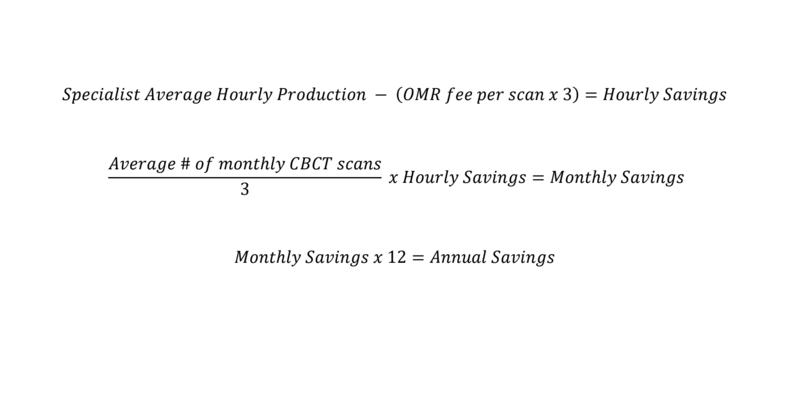 The following is a presentation of scenarios based on a dental specialist that makes around 1 CBCT scan per day (24 per month) over the space of one month and one year and the associated adjusted gross earnings described as savings (see Figure 2). For the Oral and Maxillofacial Surgeon that makes 24 CBCT scans per month saves $4,575.36 per month while saving $54,904.32 each year (see Figure 3). For the Endodontist that makes 24 CBCT scans per month saves $1,877.76 each month while saving $22,533.12 each year. For the Orthodontist that makes 24 CBCT scans per month saves $2,235.12 each month while saving $26,821.44 each year. For the Periodontist that makes 24 CBCT scans per month saves $2,479.20 each month while saving $29,750.40 each year. For the Prosthodontist that makes 24 CBCT scans per month saves $2,226.48 each month while saving $26,717.76 each year (see Table 1). The findings of this study can now be combined with those of other studies to provide a more complete and informed assessment of how to handle the interpretation of CBCT scans. 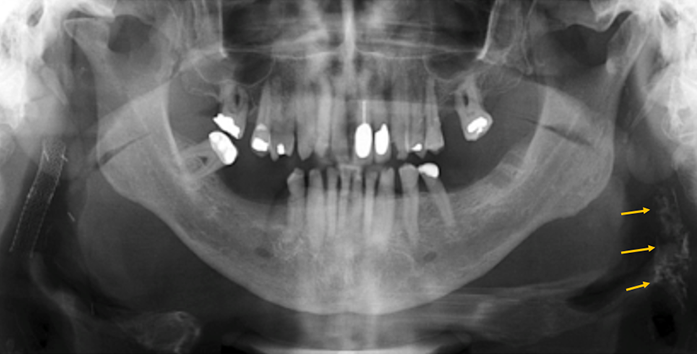 With the findings of the significant cost-benefit savings for each dental specialist, combined with the advanced training and knowledge that Oral and Maxillofacial Radiologists have of CBCT scans, the referral of CBCT scans to an Oral and Maxillofacial Radiologist for interpretation has clear advantages. Thus, independent of a dental specialist’s ability to interpret CBCT scans, each dental specialist stands to lose a significant amount of production each hour spent on proper interpretation of CBCT scans when other specialist specific tasks could be performed. Combining this with the reduction in liability, the referral of CBCT scans to an Oral and Maxillofacial Radiologist is an efficient and cost-effective means of interpretation of CBCT scans for all dental specialist. Any chance of bias was minimized by using the ADA’s survey for the data on the income and hours worked for each of the dental specialists reported. The data collected for Oral and Maxillofacial Radiologist fees and interpretation time was collected from survey of 15 Oral and Maxillofacial Radiologists rather than relying on the information and opinion from one or two Oral and Maxillofacial Radiologists. Future studies looking at this same information might include a survey of all Oral and Maxillofacial Radiologists for a more representative and more accurate data on fees and interpretation time. Edwards R, Altalibi M, Flores-Mir C. The frequency and nature of incidental findings in cone- beam computed tomographic scans of the head and neck region: a systematic review. The Journal of the American Dental Association. 2013;144(2):161-170. Price JB, Thaw KL, Tyndall DA, Ludlow JB, Padilla RJ. Incidental findings from cone beam computed tomography of the maxillofacial region: a descriptive retrospective study. Clinical oral implants research. 2012;23(11):1261-1268. 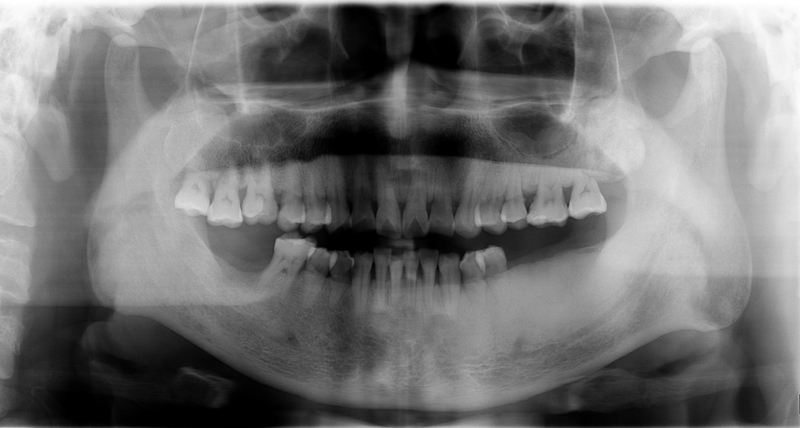 Drage N, Rogers S, Greenall C, Playle R. Incidental findings on cone beam computed tomography in orthodontic patients. Journal of orthodontics. 2013;40(1):29-37. Barghan S, Tahmasbi Arashlow M, Nair MK. 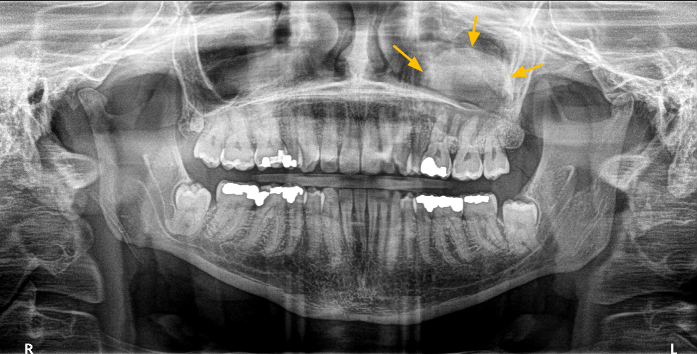 Incidental Findings on Cone Beam Computed Tomography Studies outside of the Maxillofacial Skeleton. International journal of dentistry. 2016;2016. Warhekar S, Nagarajappa S, Dasar PL, et al. Incidental findings on cone beam computed tomography and reasons for referral by dental practitioners in indore city (mp). Journal of clinical and diagnostic research: JCDR. 2015;9(2):ZC21. Affairs ADACoS. The use of cone-beam computed tomography in dentistry: an advisory statement from the American Dental Association Council on Scientific Affairs. The Journal of the American Dental Association. 2012;143(8):899-902. Allareddy V, Vincent SD, Hellstein JW, Qian F, Smoker WR, Ruprecht A. Incidental findings on cone beam computed tomography images. International journal of dentistry. 2012;2012. Association AD. Income, gross billings, and expenses: selected 2015 results from the survey of dental practice (tables in excel). Chicago, IL: Health Policy Institute. 2017. Association AD. Characteristics of private dental practices: Selected 2015 results from the survey of dental practice (tables in excel). Chicago, IL: American Dental Association. 2017. Akash A. Global CBCT Dental Imaging Market is Expected to Reach USD 817.5 Million by 2023 with a CAGR of 9.8%. 2017; http://www.prnewswire.com/news-releases/global-cbct-dental- imaging-market-is-expected-to-reach-usd-8175-million-by-2023-with-a-cagr-of-98- 300444090.html. 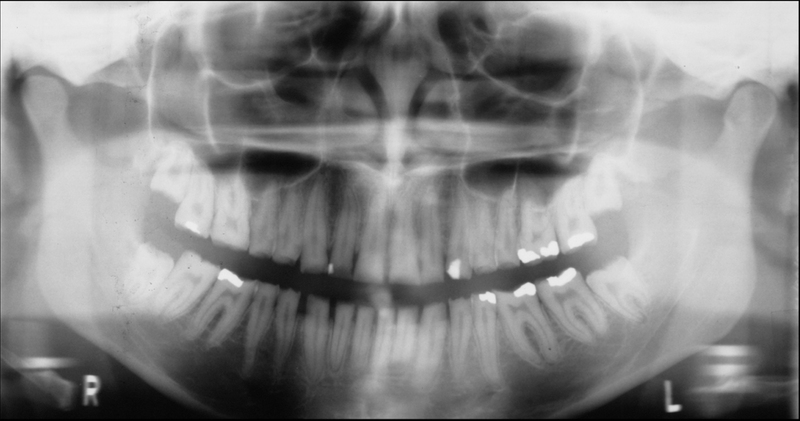 Çaglayan F, Tozoglu Ü. Incidental findings in the maxillofacial region detected by cone beam CT. Diagnostic and Interventional Radiology. 2012;18(2):159. Edwards R, Alsufyani N, Heo G, Flores-Mir C. The frequency and nature of incidental findings in large-field cone beam computed tomography scans of an orthodontic sample. Progress in orthodontics. 2014;15(1):37. 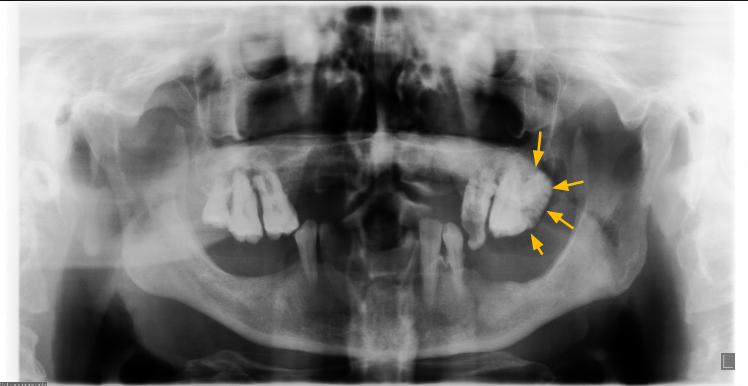 Lopes IA, Tucunduva RM, Handem RH, Capelozza ALA. Study of the frequency and location of incidental findings of the maxillofacial region in different fields of view in CBCT scans. Dentomaxillofacial Radiology. 2016;46(1):20160215. Pette GA, Norkin FJ, Ganeles J, et al. Incidental findings from a retrospective study of 318 cone beam computed tomography consultation reports. International Journal of Oral & Maxillofacial Implants. 2012;27(3). 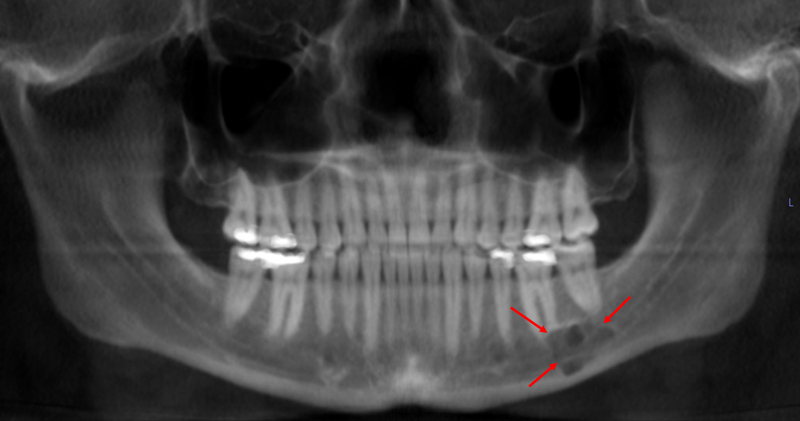 Rogers SA, Drage N, Durning P. Incidental findings arising with cone beam computed tomography imaging of the orthodontic patient. The Angle orthodontist. 2011;81(2):350-355. Carter L, Farman AG, Geist J, et al. American Academy of Oral and Maxillofacial Radiology executive opinion statement on performing and interpreting diagnostic cone beam computed tomography. In: Mosby; 2008. Stanford CM. Academy of Osseointegration's Summit on Clinical Practice Guidelines for the Edentulous Maxilla: Overview, Process, and Outcomes--Changing the Face of Implant Dentistry. International Journal of Oral & Maxillofacial Implants. 2016;31. 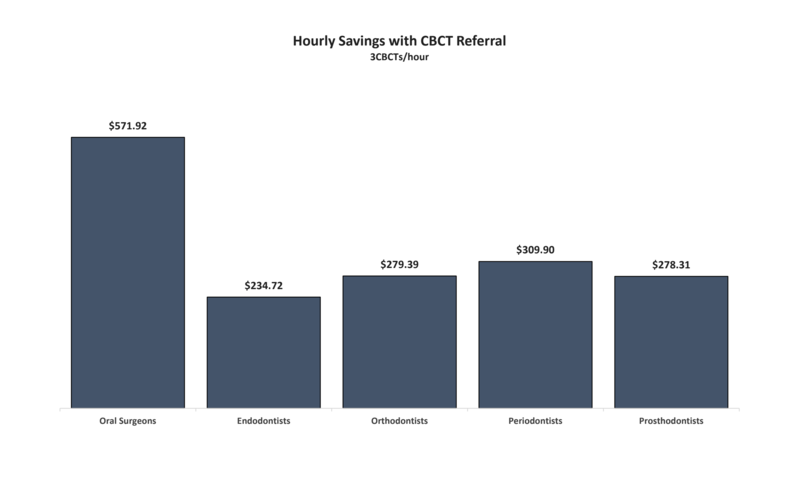 Graph shows the savings of CBCT referral which is determined by the difference of the hourly gross billing when referring to an Oral and Maxillofacial Radiologists vs self-interpreting CBCT scans. 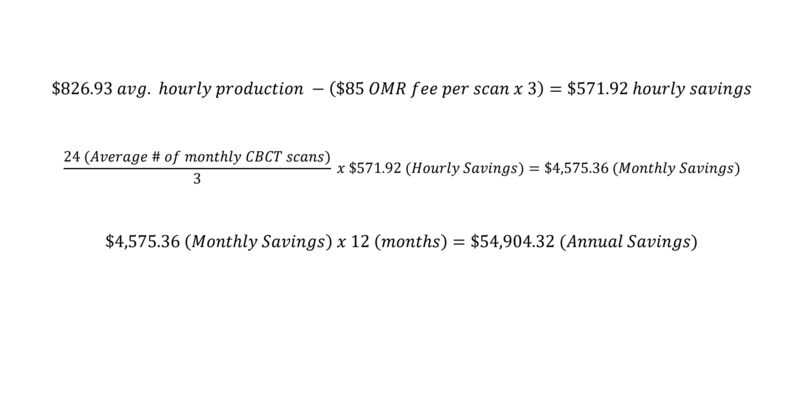 Formula demonstrating how calculations were done for hourly, monthly, and annual savings with referral vs self-interpretation using average hourly production and average Oral and Maxillofacial Radiologist fees for CBCT interpretation. Example calculations for hourly, monthly, and annual savings with referral vs. self- interpretation for Oral and Maxillofacial Surgeons. data for each specialist includes annual gross billing, hourly gross billing, hourly savings with referral, monthly savings, and annual savings with referral. The savings with referral is the difference of gross billing when referring to an Oral and Maxillofacial Radiologists vs self-interpreting CBCT scans. Monthly and annual savings with referral is based on 24 CBCT scans per month.